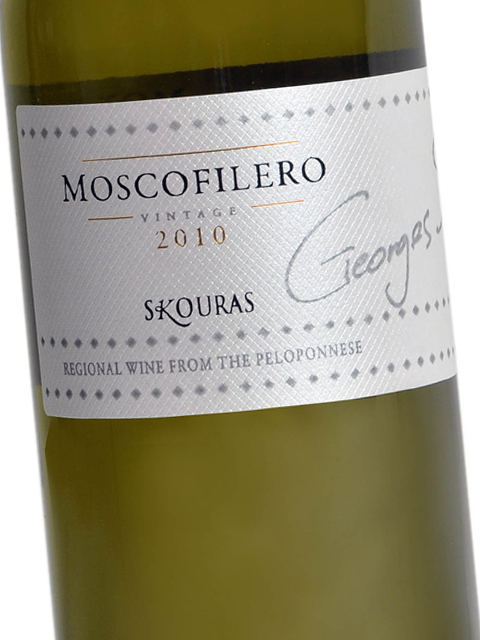 Skouras Moschofilero is a clear white wine with beautiful aromas of lemon, rose, lemon tree leaves, peach and tropical fruit. 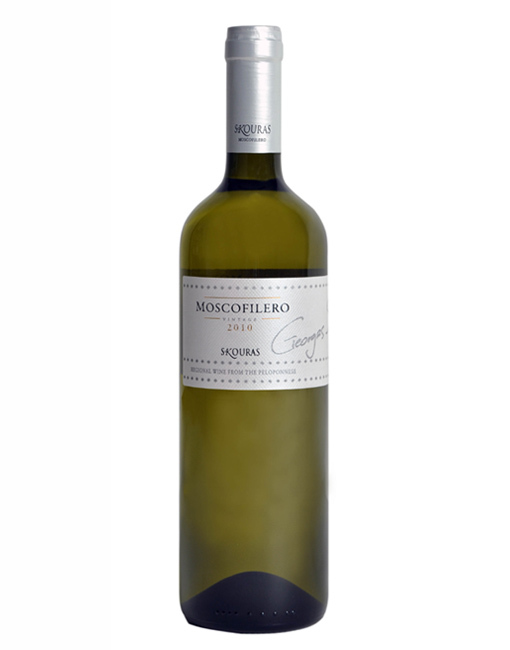 Its finesse is due to the fact that the grapes of the elegant Moschofilero variety are grown at an altitude of 750 metres in mountainous Arcadia, offering a delicate, beautifully acidic and finely aromatic character. 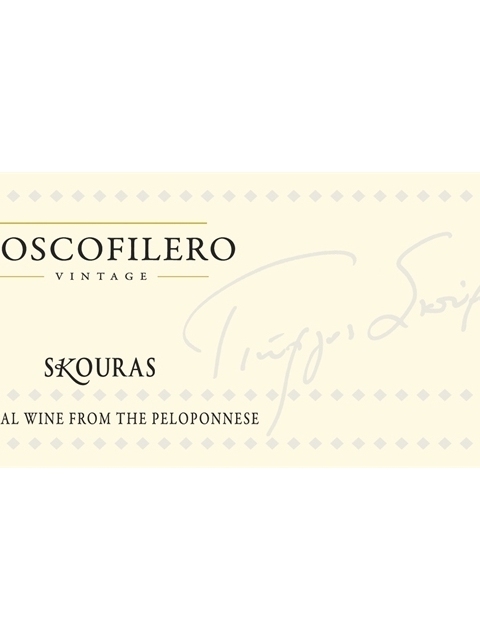 Skouras Moschofilero is a very balanced wine that can accompany food, paired mainly with cold appetizers, green salads and pasta. Its aromas, combined with its mild alcohol content and body, make it also ideal for serving alone, in wine bars or at home. Clear, pale lemon-green with silver highlights. Clean, medium (+) intensity, with aroma characteristics reminiscent of lemon, rose, lemon leaves, peach and tropical fruits. Dry, medium (+) acidity, medium alcohol, medium body. Medium flavor intensity with flavor characteristics reminiscent of lemon, lime, pear, peach, mint and rose. Medium finish.